And I sought out the best food I could find. Because, for me, food is one of the best ways to dig into a culture, to truly feel like I know a place and to relax into an overseas trip. 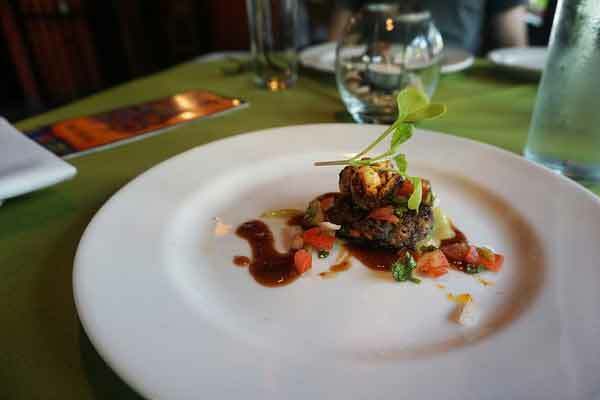 After months of cooking classes and fancy dinners and one very long rental car ride down bumpy coastal roads almost all the way to Belize, I found quite a few food experiences worth writing home about. Here are my top five. No matter where I travel, some of the best foodie experiences I end up having come from small, personal cooking classes with local chefs, food writers, or exceptional home cooks. In Tulum, you’ll find one of the latter—a passionate home cook who has been perfecting her mole sauce (a traditional Mexican sauce typically containing fruit, chili pepper, nuts, and spices) for decades. Seriously, it’s the best I’ve ever tasted—and I’ve tried a lot of mole. Every class prepares a full meal, including (of course) homemade corn tortillas, and includes lessons on Mexico’s regional cuisines. Don’t forget to ask Lily for her favorite local restaurants. She’s a wealth of information and inspiration. For something fancy and not quite as hands-on as a cooking class, take a taxi or a rental bike south along Tulum’s beach road. 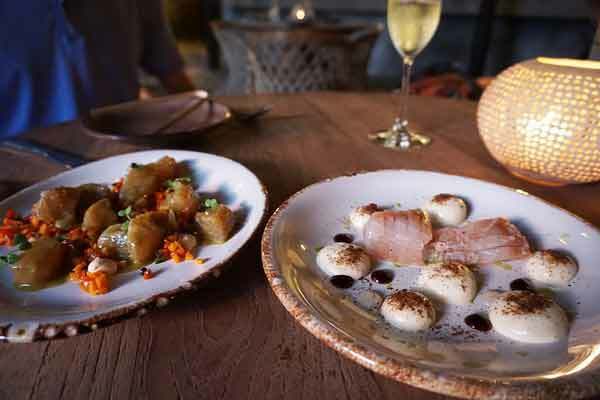 Just before you reach the end of the strip, you’ll find Ocumare—Tulum’s most creative gastronomic restaurant. Don’t miss the deconstructed sushi (listed on the menu as ‘Sushi Ingredients’), the grouper with Thai vegies (smoked at the table) or the tangy pork belly. And leave room for dessert—the chocolate cream was, hands down, the best dessert I had on the Riviera. Settle in on beds and couches surrounded by palm trees and arranged around a pool for some of the best food this fancy yoga town has to offer. The Uruguayan chef’s specialty is fish, so ask about the catch of the day. And even if you aren’t a fish-lover, you’ll find something to love here—from the simple, flavorful chicken morceaux to the jalapeno ice cream and the unique Mayan cocktails. 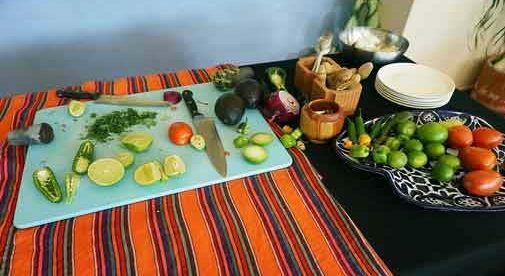 Perfect your homemade guacamole, fish tacos, and traditional tortillas with a trained chef in this tiny, intimate class held on the shady, spacious patio of a cute B&B. 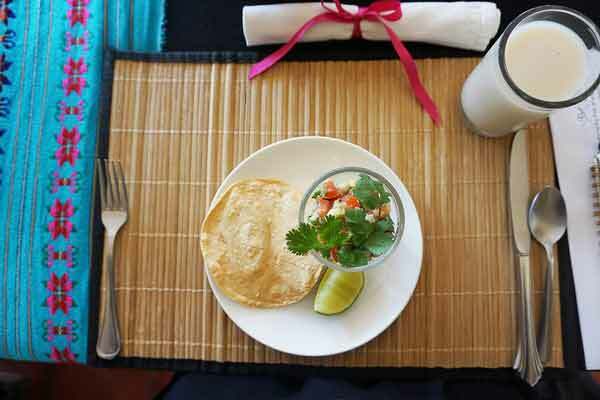 Expect to meet other travelers, learn tips for making the best homemade guacamole, and salsa of your life and enjoy a large, delicious lunch you helped prepare. The menu rotates to showcase different Mexican traditions and classes book up fast, so check the schedule and book early if you want in. If you want to get really off the beaten track, this is your chance. The Leaky Palapa is about as far south as you can go along the coast before you hit Belize—in a quiet coastal town called Xcalak. And this is part of what makes the place so special: you’d never expect to find a gourmet meal tucked away in this tiny, dusty town at the end of a pot-holed road through the jungle. Settle yourself in a seat by the window overlooking the jungle garden and don’t miss the shrimp on bean cakes or the chocolate flan. Everything is served well-seasoned, fresh, and beautifully presented. The Canadian owners and lively expat crowd add a celebratory atmosphere to their open evenings. Keep in mind that they aren’t open year-round or every day. It’s best to check the schedule before planning a trip.